WACO, Texas, Oct. 22, 2018 /PRNewswire/ -- Allergan plc (NYSE: AGN), a leading global pharmaceutical company, today announced that The Allergan Foundation has awarded a $125,000 grant to support "Heroes MAKE America," a career program for veteran candidates in the United States Military. The sponsorship was announced as part of a visit by "Heroes MAKE America" students to Allergan's Waco manufacturing site. 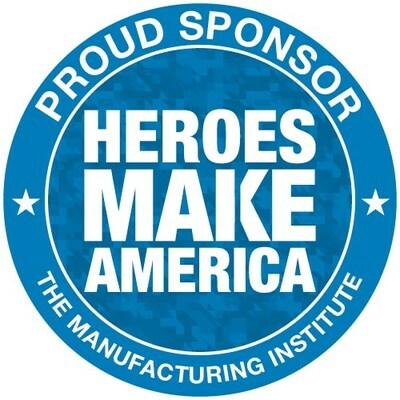 "Heroes MAKE America" is a National Association of Manufacturers' (NAM) Manufacturing Institute program that offers transitioning service members advanced training in manufacturing skills, industry certifications and college credits, as well as providing them with the opportunity to connect with prospective employers. The Allergan Foundation donation will contribute to the expansion of "Heroes MAKE America" at Fort Hood in Texas. 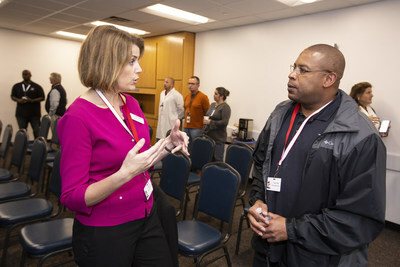 As part of its support, Allergan welcomed current Fort Hood students to its Waco manufacturing facility for an event featuring U.S. Congressman Bill Flores of Texas. 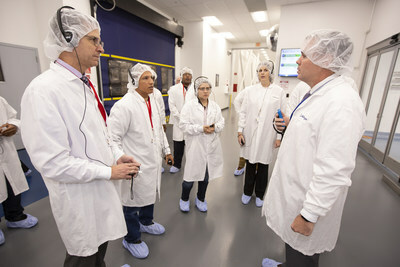 During the visit, "Heroes MAKE America" students toured Allergan production lines and visited with employees, several of whom are veterans of the U.S. Military. Members of The Allergan Foundation Board, Allergan's leadership team and Rep. Flores, a member of the House Veterans' Affairs Committee, visited with the students and delivered remarks thanking them for their service. "Allergan is proud to support American veterans as a sponsor of Heroes MAKE America. Service members returning from active duty have many of the same qualities that manufacturers seek in their employees including a strong work ethic and commitment to excellence. By building upon these qualities and providing veterans with the training and skills needed for a successful career in manufacturing, Heroes MAKE America is laying the foundation for America's next generation of manufacturers to excel in the global economy," said Wayne Swanton, Allergan Executive Vice President of Global Operations and a Board Member of the National Association of Manufacturers. "On behalf of the House Veterans' Affairs Committee and the 17th District of Texas, I offer our sincere thanks and appreciation to the Heroes MAKE America students for their service to our nation. In addition, we thank the Manufacturing Institute and its sponsors including The Allergan Foundation for providing our veterans with remarkable opportunities to advance their skills and to build successful careers to support their families' futures," said Rep. Bill Flores. "Heroes MAKE America is grateful for the support of The Allergan Foundation and all of our sponsors who are committed to expanding this important program for our veterans. 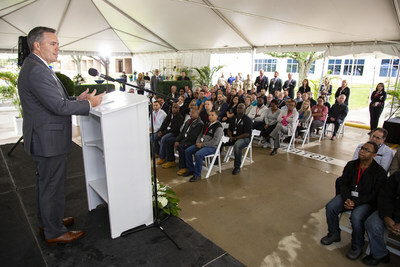 U.S. manufacturers are in need of highly-skilled workers and Heroes MAKE America is successfully connecting them with dedicated and qualified candidates who have devoted their lives to serving our nation," said Carolyn Lee, Executive Director of NAM's Manufacturing Institute. As a longtime member of NAM, Allergan is committed to supporting manufacturing in the United States. 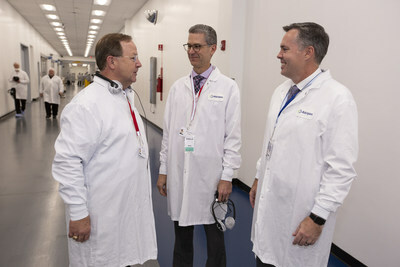 Allergan's global operations include multiple U.S. manufacturing sites located in four states. The Allergan Foundation is a U.S.-based, private charitable foundation committed to providing a lasting and positive impact in the communities in which Allergan employees live and work. The Allergan Foundation focuses its support on charitable efforts dedicated to promoting access to quality healthcare and improving patient diagnosis, treatment, care and quality of life. Established in 1998, The Allergan Foundation has donated more than $84 million to a wide variety of philanthropic pursuits globally. For more information, visit The Allergan Foundation website at www.AllerganFoundation.org. Heroes MAKE America is a full-time, Department of Defense approved SkillBridge program aimed at closing the manufacturing skills gap by training our transitioning service members with critical skills and placing them on a path toward a rewarding manufacturing career. The program arms transitioning service members with in-demand qualifications and industry-specific certifications needed for today's manufacturing workforce. Manufacturers highly value the core elements of military training that allow America's soldiers to be the best in the world. The teamwork, commitment to mission, communication and critical thinking skills that are essential to mission success are also essential to manufacturing success. Heroes MAKE America launched in early 2018 at Fort Riley in Kansas. The Manufacturing Institute, the nonprofit affiliate and social impact arm of the National Association of Manufacturers (NAM), drives programs and research to promote modern manufacturing and jumpstart new approaches to growing manufacturing talent.